Liberal Arts basically include those subjects which were considered extremely necessary in ancient time period for a layman to learn so that he can actively participate in civic matters. And the basic aim of this ideology was just to make every person knowledgeable, highly virtuous and also to articulate them. And at that time core of this sort of subjects were Grammar, logic and rhetoric. But at present time this term “liberal arts” refers to some areas of philosophy, literature, mathematics, linguistics, psychology, history and science. Both interpretations vary somehow but both are conveying one same thing that is “liberal arts do not include any technical, professional or vocational curriculum. This article is an effort to let you know about best liberal arts colleges in USA. In this article top ten liberal arts colleges are enlisted and necessary information about them is also given. First liberal arts educational institute of USA which I would like to discuss is Davidson College and it is ranked as tenth educational institution among top ten liberal arts colleges in USA. Davidson College is a private sector educational institute and it is located about 20 miles away from Charlotte, N.C. This best institute of USA’s admission policy is totally based on needs. Davidson Trust primarily focuses on giving education through this institute without any debt etc. And tries to meet all the needs of their students along with grants and work-study projects and totally avoids loan system. Next educational institute of USA which I am going to discuss is Claremont McKenna College and it is enlisted as ninth best one among top ten best liberal arts colleges in USA. It is located in Claremont; Calif and is an active member of The Claremont Colleges. The Claremont Colleges other members are Scripps College, Harvey Mudd College, Pomona College and Pitzer College. And Claremont McKenna College’s students are always given an opportunity to take classes in other members of The Claremont Colleges if they are interested and along with taking classes they can play sports there as well as can confidently attend social functions of member’s institutions. Here comes eighth best school in USA among top ten best liberal arts colleges in USA and it is known as Wellesley College. It is also private sector institution and exciting fact about this best institute of USA is that it is specific for women. It is located approximately 10 miles away Boston in Wellesley; Mass. Wellesley students can have courses more than one thousand and they have variety of major subjects almost fifty to choose from them according to their interest and desire. And student of this institute are also given an opportunity to get themselves register for another institution that is Massachusetts Institute of Technology if they are interested in taking classes over there. Next institute that comes under discussion is Carleton College. It is enlisted as seventh best one among top ten liberal arts colleges in USA. It is also private sector educational institute in a very historic place. It is located in river town of Northfield that has its own very history in Minn. Its students are given an opportunity to choose from 35 majors according to their interests and approximately above than 170 organizations to check it out. 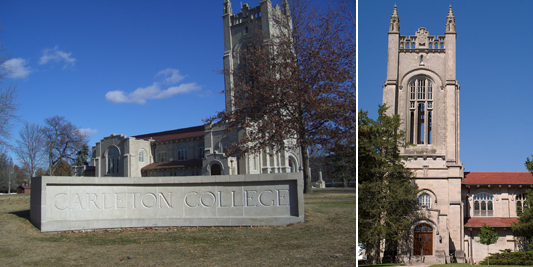 Carleton unlike others institution has rural settings rather than suburban. Next liberal arts school of USA that comes in this list is Pomona College. It is sixth best liberal arts school among top ten liberal arts colleges in USA. It is situated in Claremont; Calif and this is approximately 35 miles away from Los Angeles. It is also a private sector educational institute and is also famous for its extremely beautiful location during annual Ski Beach Day. The start of day at one local resort and before day reaches to its end an afternoon on Beach in Orange Country. Its setting is also suburban like so many other liberal arts institutions. Next in my list of top ten liberal arts colleges in USA is Middlebury College and it is enlisted as fifth best liberal art college of United States of America. The best thing about this liberal art institute is along with academic focuses it pays a lot of attention on some other programs related to environmental studies, science, international studies and literature. It is also a private sector college in USA. It is situated in Middlebury, VT which is in a valley between Adirondack Mountains and Green Mountains. Another very exciting liberal art college of USA is Bowdoin College and in list of top ten liberal arts colleges in USA. It is enlisted as fourth best liberal art college. It is also a nongovernmental institution and SAT &ACT scores are optional for students to get themselves enrolled in Bowdoin College. It is located in coastal New England town, Brunswick; Maine. The best part of Bowdoin College is it serves as home for so many other organizations specifically that includes Peucinian Society which is one of the oldest intellectual and literary societies of homeland. Now liberal art college of USA which I am going to explain is Swarthmore College and it is enlisted as third best liberal art college of USA among top ten liberal arts colleges in USA. It is located almost 10 miles away from Philadelphia, Penn. It is one of those liberal arts institutions that along with subjects related to liberal arts also offer engineering degree programs. And like so many other best liberal arts institutions. It is also a private sector educational institute. As Swarthmore College is a part of Tri-College Consortium interested students can also register themselves for Bryn Mawr and Haverford College to get themselves educated from there as well. Amherst College is next in my list of best liberal arts colleges in USA. It is enlisted as second most best college among top ten liberal arts colleges in United States America. It is also a private institute and is located in Amherst; Mass. It is very well known for its very strict academic atmosphere. 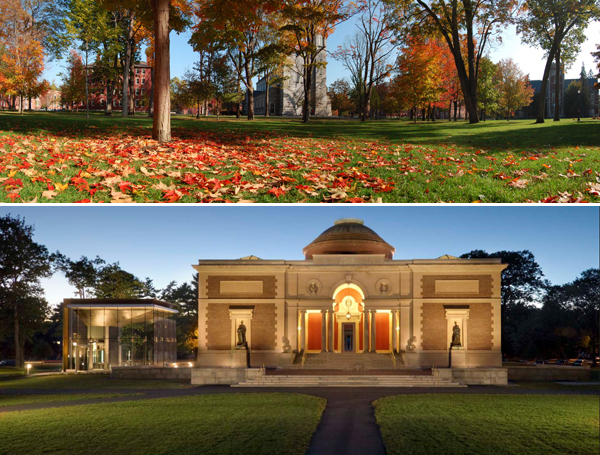 As Amherst College is a part of “Five colleges’ consortium, students who have enrolled themselves for this College can enjoy and take classes at other institutions and that list includes Smith College, Hampshire College, Mount Holyoke College and The University of Massachusetts-Amherst. And Amherst College settings are totally rural. So, here comes last but not the least and USA’s number one liberal arts college and that is none other than Williams College. This nongovernmental educational institute is located in Williamstown, Mass. This prestigious institution of USA also has rural settings and it offers basically three academic branches to undergraduates and these three branches of study are Humanities, Social Sciences and Sciences. And when we talk about academic environment and teaching strategies that are followed to facilitate their students they are completely similar to Oxford style. Just like Oxford Style of teaching strategies in which students are active members and are completely student oriented classes same are in William College. And classes in this top ranked liberal arts college are very precise and small. Above discussed all liberal arts colleges are no doubt best colleges in USA. These all colleges cater their students very well and make them able to move confidently in the society in which they are living. Every educational institute has responsibility to do character building of their students and make them able to cope with ever changing societies and these all liberal arts colleges are able to fulfill this duty.